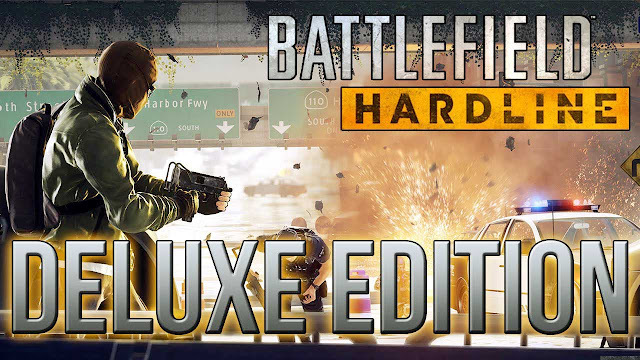 Hardline brings a new theme for the acclaimed Battlefield franchise. This time the fight will be between the police and the bad guys, but in a much more intense way, since both sides are heavily armed and prepared. Turn the streets into true war stage in several different game modes, where the objective of the thugs is to perform gigantic robbery, and the police stop them. Vehicles already known of the franchise are also present, improving interaction, increasing possibilities and creating new game strategies. Battlefield Hardline is a spin-off with unquestionable quality already known to fans of the franchise. This unique repack the Deluxe Edition is fully voiced and translated into EN, and also has the battle packages that add new weapons, badges and camouflage. Note : You must have to have a torrent file downloader to downlaod the game.